It’s Official AT&T BlackBerry Bold Set To Drop Nov 4. NEW YORK (AP) – AT&T Inc. says that the new flagship BlackBerry model that was initially expected this summer, the Bold 9000, will go on sale Nov. 4. Ralph de la Vega, head of AT&T’s consumer business, supplied the launch date on the company’s third-quarter earnings conference call Wednesday. 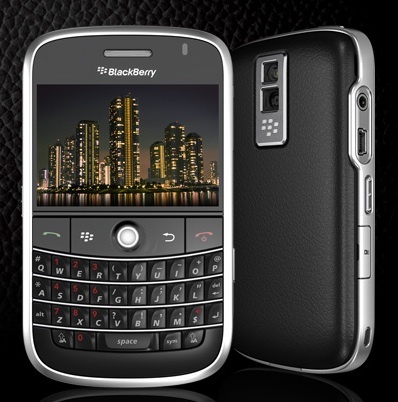 When BlackBerry manufacturer Research in Motion Ltd. revealed the model in May, it said it would go on sale this summer. The Bold 9000 did launch in some overseas markets, but not in the U.S. The apparent delay hurt RIM shares over the summer. Early in October, RIM co-CEO Mike Lazaridis that the Bold was still being tested by AT&T, and implied that the carrier was being extra careful after widely publicized problems with Apple Inc.’s latest iPhone. Previous post: Spotted: T.I. Shopping In L.A.